Sharmistha joined Drystone Chambers in 2017, having previously been at the employed bar. She was the first Serious Organised Crime Agency (SOCA) pupil and after completing pupillage at a leading Criminal Set and with the Crown Prosecution service, where she prosecuted high-volume crime, she returned to SOCA. There she advised extensively on Proceeds of Crime investigations and appeared as in-house counsel in cash detention and forfeiture applications. She developed particular expertise in advising the organisation on SARs, POCA and PACE, confiscation, disclosure and LPP material. Sharmistha has considerable public law experience from her time as an employed barrister. She joined the MOD Legal Advisers in 2012 where she led on high profile legacy Article 2 inquests and litigation from the Troubles in Northern Ireland. She represented the MOD at Northern Ireland Office Legacy Liaison Meetings and at the cross-Whitehall Group dealing with historical cases in Northern Ireland, such as the Stalker Sampson Inquest, and prosecutions arising out of the Bloody Sunday Inquiry. She provided legal advice to MOD Ministers on matters such as Public Interest Immunity applications and closed material proceedings in relation to inquests and criminal cases. She worked closely with the Military and partner agencies on the disclosure of sensitive material and the drafting of applications to the court. While at the MOD Sharmistha also taught Criminal Litigation, and Sentencing on the Bar Practice Training Course at BPP University London. Sharmistha’s most recent role before joining chambers was for the Government Legal Department (GLD), where she conducted litigation for the Ministry of Justice (MoJ), her clients included the CPS, HMCTS, Probation and Prisons and she attended hearings at the High Court and County Court. She has been involved in the conduct of many Article 2 death in custody inquests for the Prison and Probation Service. She was also the MoJ lawyer to an independent public inquiry regarding the self-harming of an individual while detained in a YOI. 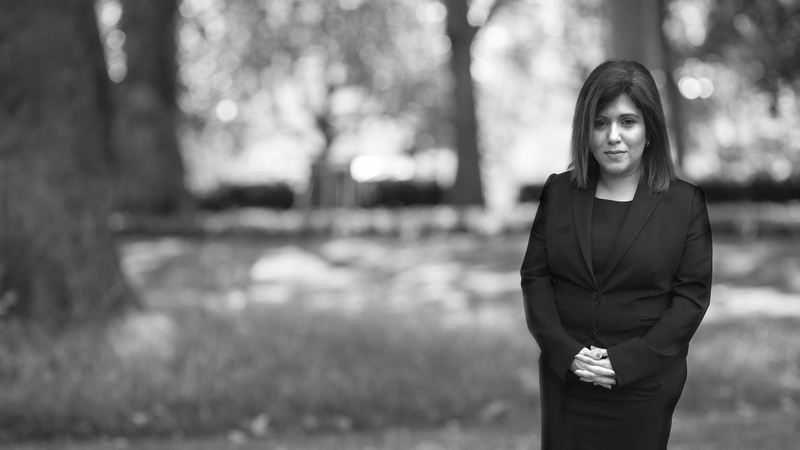 Sharmistha has experience of Immigration law from her role as a case holder at The Treasury Solicitors in the immigration and Judicial review team and from her time as legal adviser to the Asylum team at London Borough of Hammersmith and Fulham Social Services. She has experience of family law matters and continues to accept instructions in this area alongside her other specialist practice areas. She is also registered to undertake Direct Access work. Russian national claiming asylum in the UK on the basis of their sexual orientation. The client was a member of the LGBT+ community and feared returning to Russia due to persecution from the state and society. Successful appeal, client to remain. To see the instructing solicitors report, click here.